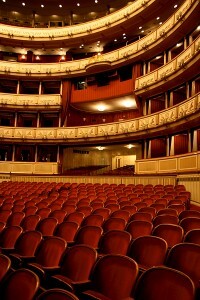 The auditorium of the Vienna State Opera House. Every trip will attend at least two world-class performances. We will often see one of Vienna’s great orchestras, perhaps the Vienna Philharmonic, Vienna Symphony Orchestra, or Tonkunstler. (Tickets are extremely difficult to get for the Vienna Philharmonic, but In Mozart’s Footsteps has gotten seats in a few recent trips.) And frequently there are wonderful orchestras from other countries performing in Vienna during our trip. For fans of the stage, we will usually also see an opera or operetta. The Volksoper’s performance of Johann Strauss’s “Die Fledermaus” is the quintessential Viennese work and is a joy to attend. 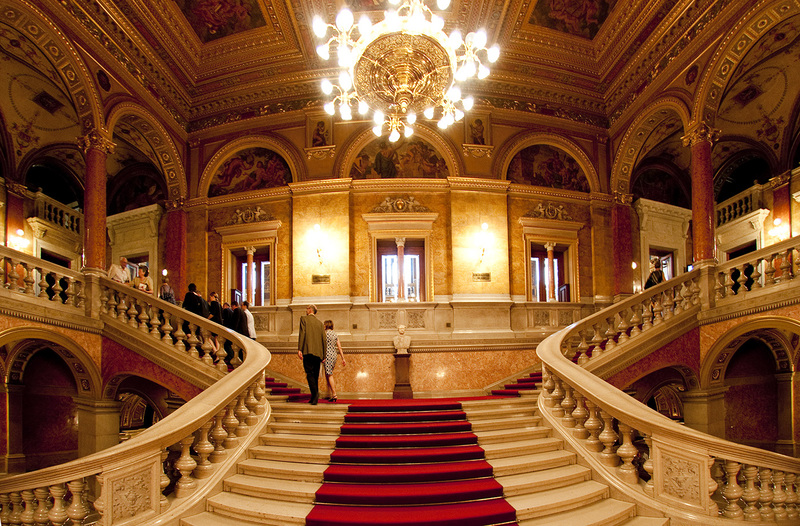 Of course, the productions at the Vienna State Opera are world class. 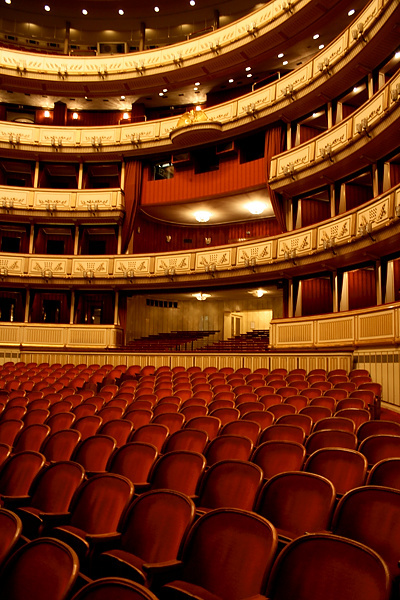 Possible performances in Salzburg are at the Mozarteum, the Festival Houses, and even the Marionette Theater. If you have never seen the Salzburg Marionettes, you cannot believe what these master puppeteers can do. Sometimes we attend a luxurious Dinner/Concert at the famed Peterskeller, the oldest restaurant in Europe. Delicious food, great wine, and Mozart make a wonderful evening! 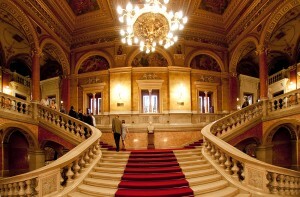 Trips going to Budapest will often go to the Budapest Opera. These are fine performances in a stunning opera house. And to get a feel of true Hungarian music, we often will attend a concert of Hungarian Folk Dance and Music. These are special events. In addition to the performances that are included in the price of the trip, you will have several opportunities to attend other concerts or operas of your choice. Dr. Nelson will give you a list of the music performed during your trip and will help you get tickets if desired. 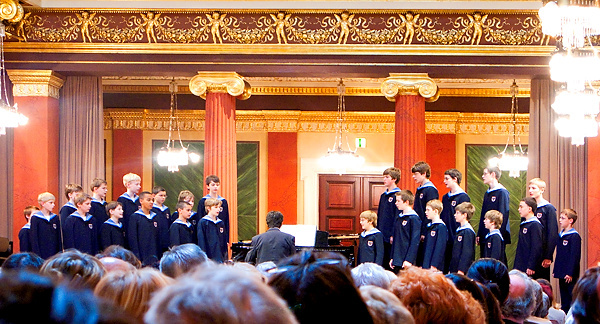 A picture taken during a Vienna Boys Choir concert in Vienna in 2002.